I owe a big thank you to Per Pixel Photo for sending me these beautiful wedding photos to share with you all today of Angie and Brian's wedding this past July! Angie and Brian are such a beautiful couple who are also some of the kindest people I have had the privilege of working with. Angie worked in fashion as a designer for a large clothing brand while Brian is currently studying to become a Physician's Assistant at Loma Linda University. 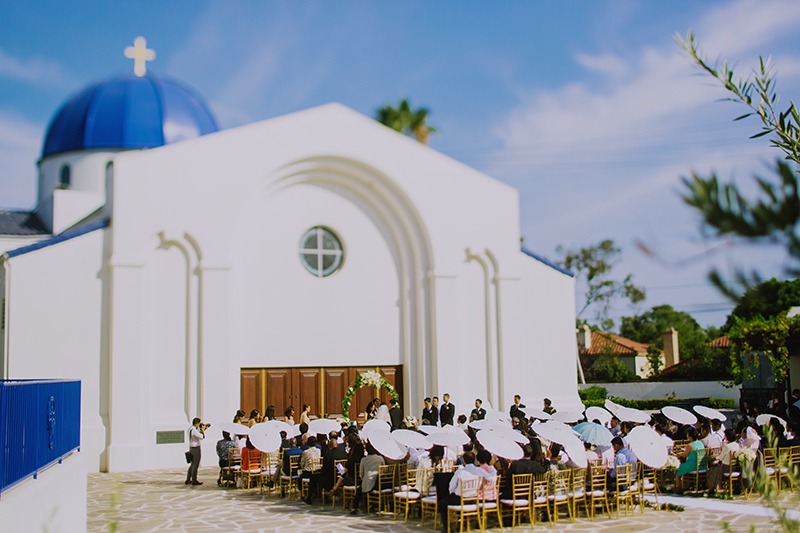 The sweet nuptials were held at the unique and charming Betty Reckas Cultural Center in Long Beach. It was an elegant affair, with guests arriving to the beautiful courtyard for an outdoor ceremony, followed by dinner and drinks in the beautiful ballroom of the cultural center. Angie included many beautiful touches to the wedding with her talent in fashion and design - she even hand made the beautiful robes that the lovely bridesmaids wore! 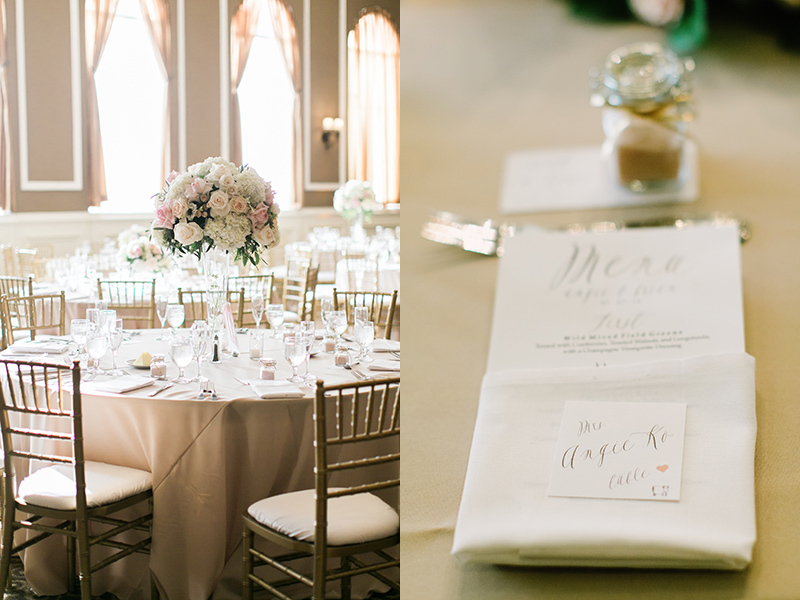 The elegant reception was dressed in blush, champagne, ivory, and touches of gold - and yes, it was as dreamy as it sounds. After Brian and his groomsmen serenaded and danced for Angie with a ballad of Boyz II Men songs, they joined their guests for dinner and dancing. They topped off the night with a sweet shaved ice station for their guests to cool off in the summer heat. 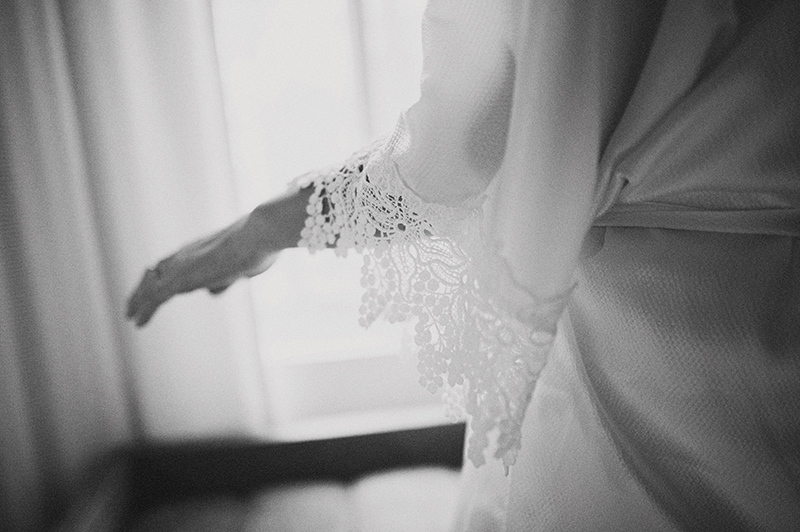 Check out the beautiful photos below to relive their wedding day!